With the weather so hot in Texas, we often ponder, "What to do". The Lakes are full of swimmers and families enjoying the sun. There are people fishing from the banks, fishing from their boats, water boarding, skiing, having a blast. Sunscreen plays a big part in all of this, bull frog can blind you, the others are really not what they seem... how to choose the right one? Just remember to keep applying it, there is nothing like having part of your nose or ears cut off when you get older. JS. Then there are the indoor water places like the Great Wolf Lodge, always fun, just very expensive. The outdoor water parks are a good bet, there are several tubing places down here. There are always the slower rivers, the Comal in New Braunfels is always nice, unless your kid goes over the dam and gets sucked under... it happened. Everyone loves to cook out and enjoy the B-B-Q thing, except me... I have watched these women prepare all the meat, fix the potato salad and beans, all the buns or bread, relish sides and clean it all up. Then the guy goes over and throws the meat on the grill, hoping not to burn it to a crisp. Then he brings the meat (that she prepared) to the table and everyone pats him on the back. lol. Priceless. I myself have done all of the above, we grew up on the river and were dirt poor. We would hop from pot hole to pot hole, all the way down to the river. We would spend the day fishing, swimming, walking along the banks of the Trinity River hoping to find a lure or two. We went snake hunting in the evenings, the prisoners at TDCJ would make you a snake skin belt if you brought them 10 snake skins. That was not a problem for us, we stayed in leather tooled belts until we graduated school. Sometimes we would catch perch all day and bring a stringer full home, Mom would fry up a few and scrape the meat from the bones and enjoy it right then and there. the remainder would be put into the freezer in a brown paper bag and Dad would throw a couple of them to the cats. Watching those cats try and eat a frozen perch was funny. We would go down to the bridge on 980 and jump off or dive off, it is a surprise we are still alive. We loved fishing under the bridge and swimming under the bridge. Over where we lived, there was a boat ramp where the people would unload and load their boats. Occasionally they would drop their glasses or keys into the water and pay us a few dollars to go get them. We would hang out there most Saturday mornings, fishing and cashing in. lol. When the river was out of it's banks, the Gar and Alligator Gar would spawn. We would take a wagon and a frog gig down and hunt them down until the wagon could hold no more. The old Black lady down the road would buy all you could bring her, she made Gar Balls. I have never tasted any, all good. In my late teens and twenties, all I seemed to do is work. I would hold two to three jobs at a time, always blowing most everything I made. I was working myself into the ground, hair by day, waiting tables by night. What else was there to do? I still keep very busy, still doing hair by day, pricing Antiques and collectibles by night. There are so many show coming up, this weekend alone there are three, right here locally! Of-Course by Locally, I mean within driving distance and still ending up in your own bed. We have the Houston Glass Show in Rosenberg, the Funky Junk Round-up in Waco and Fredericksburg Trade Days, technically a trade days weekend... but it will count! We have traveled to all three at one time or another and still laid our heads down on our own pillow. The Close choice for the Huntsville area is the Rosenberg Show. If you love glassware, this is a great show. If you happen to miss it, don't fret, there are two a year. There is also a great antique show in the building next door. MY FAVORITE part of the Glass Show. There are several shops downtown Rosenberg, one even offers puzzle shaped cookies and allows you to sit and work on their puzzle of the week. There is a Great Mexican food shop (Bob's Tacos) and a great old fashioned Soda Fountain, both have great food. 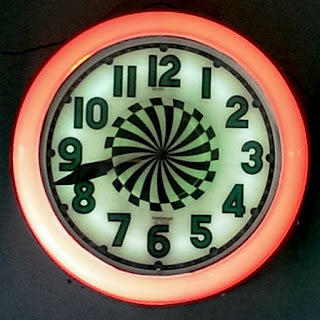 The Waco Show, Funky Junk Round-up is a great blend of Antiques, Funky Junk, Re-Purposing, Handmade items and more. The promoters of this show are some of the hardest working people I know. They produce so many shows in just one years time, Montage Festivals is simply amazing! If you like to do a good show... this is where it's at. From a one day show to a three day show, they make it happen seamlessly! There are so many great shops in the Waco area, you may have to pick and choose, it is hard to hit them all. The shops of La Salle and Junk in my Trunk and Junk and go Chic and several in between, all on La Salle. There are several shops downtown also... Junk Couture, Junk.A.Funk on South Strickler and Junk Exchange. Fredericksburg... where to start, with the great Antique and Junk stores, wine tastings, the seed company, the wonderful shopping, excellent eats... stop me at any time. If you have never been to Fredericksburg, it is a must! The Trade Days is the third weekend of each month and not to be missed! You will be overwhelmed with things to do in Fredericksburg. I envy you if this is your choice for the day, leave out early, you will be getting in late! if you can, stay over and hit the Rosenberg show on Saturday or Sunday, depending on what day you go. No matter what you do this weekend, sleep in, jump up early and hit the garage sales, cook outdoors or go out to dinner, go fishing or even laze around the house... be safe and stay hydrated! God Bless you all! What Time is it? It is time for more indoor shows, which takes us to the Antique Shows in the south! it is way to hot to be running around in the outdoor venues. We are concentrating on the indoor venues, which usually leads us to the finer side of the Antique World. The thing is... are they really all about Antiques? We have been seeing more of the Re-purposed and Decorating trends popping up in almost all of the shows. The junk shows seem to be taking over the industry as of right now. The glass and pottery has pretty much died down and the really high quality has all but ceased to sell at all. The Victorian pieces are few and far between when it comes to sales, you almost have to give it away. Now, when we go out, we look for rusty chippy iron and old worn cabinets, decorator items and chandeliers. The more the item needs to be dressed up, the better. If I sold a galvanized bucket or tub once, I have sold them a dozen times. We did a show in Montgomery, and we had to bring a load a day, just to keep up with the sales. It was great, unfortunately the side of the booth with quality antiques sold 1/10th as much. We have definitely seen a turn in the last 18 years, I am not sure it was for the better. I have all of these hair clients that keep telling me that their Children have no interest in their Antiques. It is sad but true... Like most things, this will change in a few years and we will be stripping all of that paint off of the nice oak and Antique Furniture. We had to strip off all of that paint from the 70's when our parents :Antiqued" everything... The next generation will have to do the same, it is the way of the world. Keep on junkin and painting, until it is no longer desired... then go buy a storage unit filled with Antiques. We hope to see you out there, somewhere on the trail. Texas is full of Junk Shows! Rusty, CHippy, Vintage, Repurposed and more. Shop Spring Gypsy Market, March 5, 6 & 7th. Spring Texas. 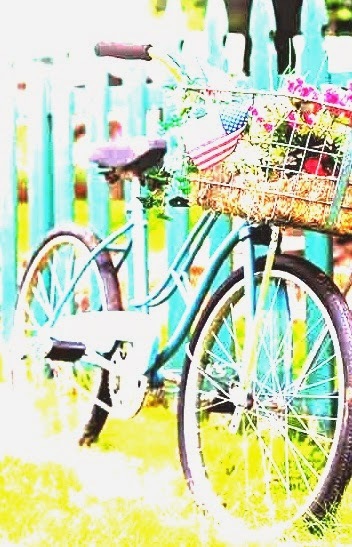 March 14 & 15 is the rusty Chippy Vintage Hippy & Garden Show! Huntsville Texas, @ Walker County Fair Grounds. If you look up Montage Festivals, they seem to put on a lot of shows, most are one day shows and are amazing. We set up at two of theirs shows and have had great success! Their next show is March 28th in Tyler Texas, @ Harvey Hall Convention Center, one day only! Heritage Events is another one that puts on a lot of shows, some are a mixture of junk dealers and antiques and some are just antique shows. Vintage Market Days in Dallas/McKinney, Bushel and a Peck, May 8&9, Myers Park and Event Center. Urban Market Design and Antique Show in Houston, April 11 & 12, 2015. Market Street! The Horse Flea is a great junk show and we hope to get into that one in a few years (when Greg Retires). Junk Revival is a great junk show and we will also be looking into that one as well. The Gypsy Tramp show is coming up soon... You have got to get on Facebook and friend these shows, just to get the "In The Know". 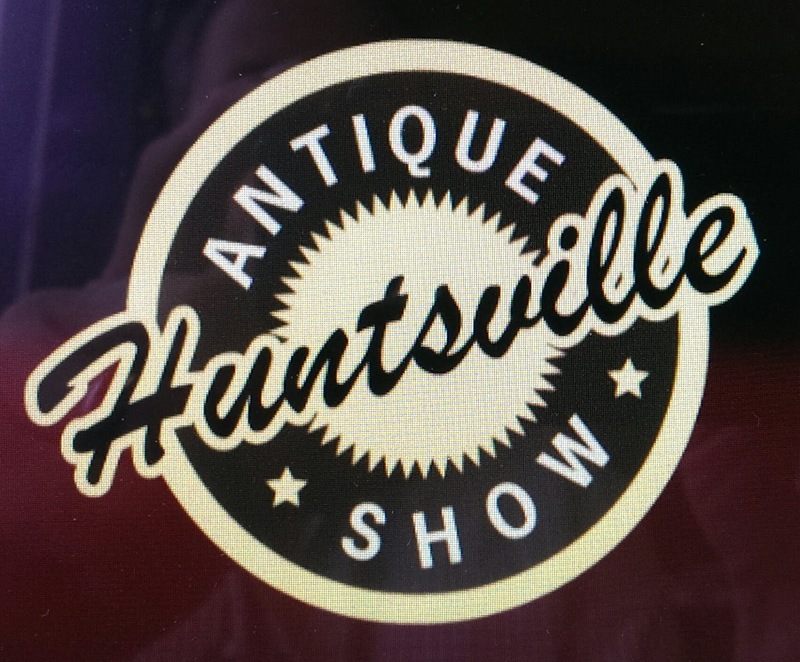 Huntsville Antique Show on Facebook! Blanco Blanco Market Days. On the Square in Blanco. Every third Saturday - April to November with a Special Christmas Show in December. Hours: 9:00am - 4:00pm (Set-up is at 7:00am). For Info: 830-833-0260. Blanco Blanco Trade Days & Farmers Market. Yett Park. For Info: 830-833-4460. Blanco Riverside Market Days. Second weekend of every month, Hwy. 1623 West, 1-1/4 miles from light. Antiques, Collectibles, Food, Shabby Chic & More! For Info: 830-385-6100. 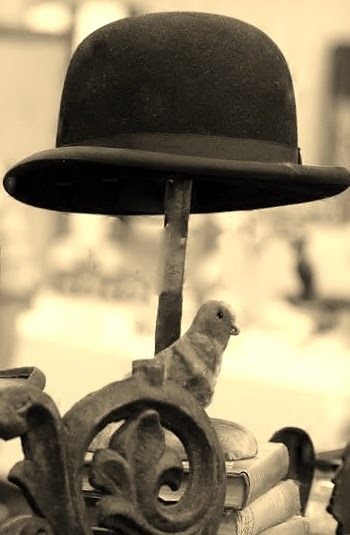 Boerne Boerne Market Days, Second weekend of every month, Arts, Crafts, Antiques, Collectibles, Food and vendors from all over Texas. Flatonia, Second Saturday in March, April, September and October, For Info: 361-865-3920. Glen Rose Glen Rose Market Days, March-December, First Saturdays. Downtown Glen Rose. For Info: 254-897-2286. Hubbard Memorial Day Weekend Trade Days, Call for info: 254-576-2521. Let them know you found them on Texas Antique Mall and to send in more information. Huntsville has a trade Days at "Kate's trade Days" on Hwy 190 East of I-45, the first weekend of the month. Still Building it up! Great place to set up. Only $10.00 for out side spaces. Hutto (Monthly Flea Market), Third Weekend of each month. Located 7 miles east of Interstate 35 out of Round Rock, TX. Most weekends are Fri - Sun. Winter: Sat - Sun. Hours are 8:00 am - 3:00 pm, They are located at 7250 Hwy 79, Hutto, TX. Space available in old horse arena, open, but covered. For Info: Joyce Hargrove, 512-759-1064. Jewett (Monthly Trade Days), Second Saturday of each Month, Friday - Sunday, Hwy. 79. Odessa Briar Patch Trade Days, Ector County Coliseum (Barn D), West Texas Vendors, different items. Semi-Annual Event. Call for info: 432-272-1177 - Let them know you found them on Texas Antique Mall and to send more information! Post , Old Mill Trade Days, Call for info: 806-495-3461. Let them know you found them on Texas Antique Mall and to send in more information. Vidor, Triangle Trade Days, 500 South Street, Every weekend - All year. Unique gifts for everyone! For Info: 409-673-8982. Warrenton, Warrenton Trade Days, Renck Hall Field, 2nd Weekend each month (except March & September), For Info: 979-966-9260. Waxahachie, Second (2nd) Monday weekend every month following Canton, Ellis County Expo Center, Highway 287 & I-35, For Info: 972-816-3644. Wimberley (Monthly Trade Days - 1st Saturday of each month, April - December), Wimberly is Southwest of Austin on Ranch Road 12. Lions Field is located on Ranch Road 2325 about 1/4 mile from junction with Ranch Road 12. Hours are typically 6:00 am until last vendor packs up. Winnie Larry's Old Time Trade Days & Flea Market, 14902 FM Hwy 1663, Open the weekend following the first Monday. Open rain or shine - inside shops, under cover & outdoor spaces. RV park available. For Info: 409-296-3300.